Some people don’t believe that you can’t get FREE Stuff on the Internet. You can. AND, two of them arrived in the mail last night. (1) Bitly stickers. Bitly, a URL shortener service, ran a sticker campaign last August to promote their bundle feature. A bundle is simply a group of links. AND as a registered user, you can have several of these bundles. In my case, I ONLY have a Java bundle. Don’t get me wrong. The bundle is a COOL idea, but I don’t like it. The screen just takes up so much whitespace. What I’d really like is just rows of links, in a compact format. That won’t stop me from using bit.ly as a URL shortener though. They do a good job with that. AND, Bitly also does a good job with Customer Service. Aside from the stickers, they also sent a handwritten note talking about my Java bundle. I’m touched. Totally unexpected, but THUMBS UP, Bitly! (2) LightDims stickers. What?! Stickers again? Yeah, there’s just something about stickers (especially brand stickers), that makes me want to collect them. BUT, this one is really, really special. They’re not your grandfather’s stickers. These are LED Light Blockers from LightDims, which I got for answering a survey. Yay! You know LED? Those energy-efficient lights you see in nearly all gadgets like TVs, cellphones, and what-nots? They’re lovely, and they have a purpose – like telling you where they are in the dark. BUT these LED lights can be really annoying, especially when you’re trying to sleep. AND that’s what these LightDims stickers are for, so you can cover those lights. Brilliant, no? PERFECT! I swear I found something like this in a mall in Cebu, but I’m not so sure. If you know where I can find them, PLEASE let me know. You can never have too many of them in different shapes! But if you can’t find them, and you really want them right now, try LightDims, or my favorite geek shop on earth, ThinkGeek. Hey, Cebu City! 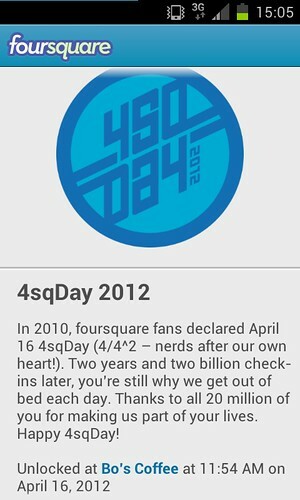 Are you excited to unlock the Foursquare Day 2012 badge on April 16 (Mon)? No? Well, I guess I’ll have to keep all these Foursquare freebies for myself. Yep, you read that right! FREEBIES. Man, I just love that word. 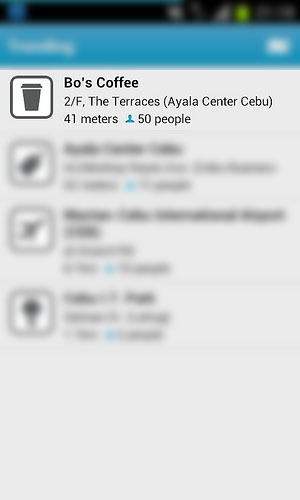 I’ve got cute button pins, and foursquare stickers just for you people of Cebu! 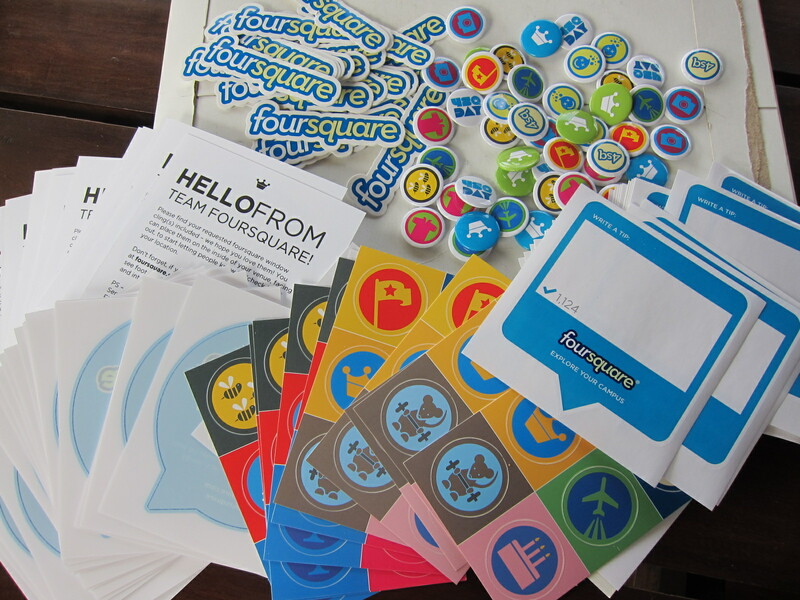 These are exactly the same stuff you see in the Foursquare Store, all sent by Foursquare themselves! 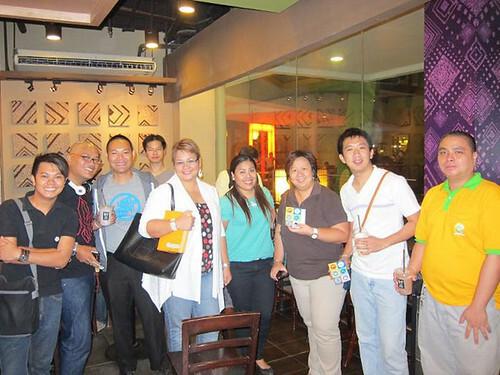 So, come join us at the Foursquare Day Meetup in Bo’s Coffee in Ayala Center Cebu from 7:45PM – 10:00PM. RSVP here. 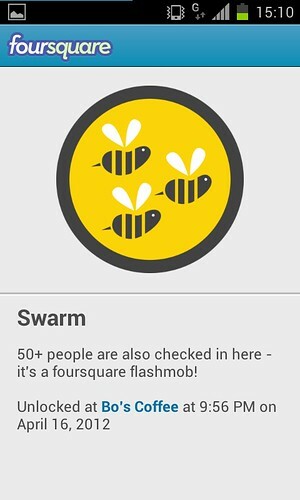 If at least 50 of us check-in at Bo’s Coffee, we just might unlock the first-ever Swarm badge in Cebu City (after 2 failed attempts last momth). Please note that I am not related nor connected to Foursquare in any way.